Caring for a rabbit and building a relationship with your furry friend can be just as fulfilling as owning a larger animal. Many people are surprised to learn that, with proper commitment, they can be fairly easily litter trained, allowing them the freedom to play outside of their cage more, if you feel comfortable doing so. Below are some tips and tricks for the successful training of your animal, helping to aid you toward the right path to owning a well-behaved companion. If you decided to start training your house rabbit, you will need to start the process by placing one box in the corner of her cage. You can then carefully watch her when she is outside of her cage, waiting for signs that she is about to urinate, such as her lifting her tail. When you see any possible signs, it would then be appropriate to encourage her to use her designated box. 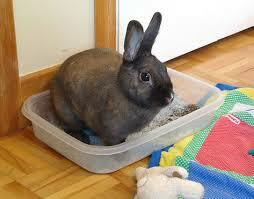 As you expand your sweet pet’s play area, you will need additional boxes, at least for a period of time. These should be strategically placed on both levels of the home. You may want to keep in mind that you will need to expand her exercise and play space rather slowly. If you give her the run of the house during the first week, she may not be able to make her way back to her cage, and nobody wants a lost pet. Place three or more boxes on each level, especially in places she is already apt to urinate or pass pills (feces). Eventually, you will be able to remove rarely used boxes, making the number of boxes you have to clean more manageable. In addition, placing a small amount of pills from the box in the cage in the other boxes will signal that they are correct places to eliminate. 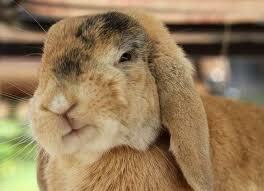 There is a great deal of conflicting information about which products are the best to use for your house rabbit. Some products run the risk of being ingested, some are toxic, others can mold, some don’t have a fresh scent, etc. If you want something that will not harm your rabbit, but is also not overly expensive, newspaper and other natural alternatives may be the best choices. Newspaper with soy-based ink is certainly appropriate to use, but keep in mind that there are other factors to consider and options to choose from. A thick layer of newspaper may be enough to absorb your animal’s urine, but if not changed frequently, it could leave the house smelling less than fresh. In general, veterinarians will probably want you to stay away from clay, deodorant crystals, anything that clumps, pine and cedar shavings, and corn cob products, as they could pose health problems. A great suggestion is wood pellets that you would use in a wood pellet stove. Always stay away from wood pellets that are covered in any type of lighter fluid or accelerant. A good indication of this is if the pellets say “fast lighting.” In addition, a natural option made from Aspen bark is safe to use. Sometimes, it’s possible for you indoor rabbit to maintain great habits for years, but suddenly, she is urinating outside of the box. Two possible reasons for the abrupt change in habits are health issues or external stressors. If you can first make an appointment with your veterinarian, it would be very helpful. Some possible health reasons for a sudden lack of designated box use include urinary tract infections, E. cuniculi, arthritis, or sludge found in the bladder. If your pet is found to be in good health, turning to the changes at home is a good next step. It may take some extra reassurance, time, and treats to bring the animal’s stress level down. 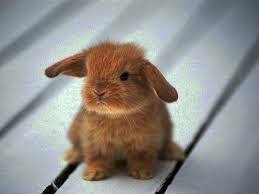 Unfortunately, it does not take rabbits more than a few days to unlearn good habits, so disruptions in the home may mean a few weeks of work in order to retrain. A suggestion to aid in helping your little guy learn again is to use a new box in a new location, filled with some hay and treats. Training your furry friends is very possible with a high level of commitment and patience. It helps to use multiple boxes when training, expanding their indoor area of exercise and play slowly. Research what product works best for you, keeping in mind many can cause medical problems. Don’t be discouraged if he or she regresses and stops using his or her designated box. It will just take a little extra time, love, and perhaps a visit to the vet to get them on the right track.